Teach your kids the value of the dollar without losing your own bankroll in the process! 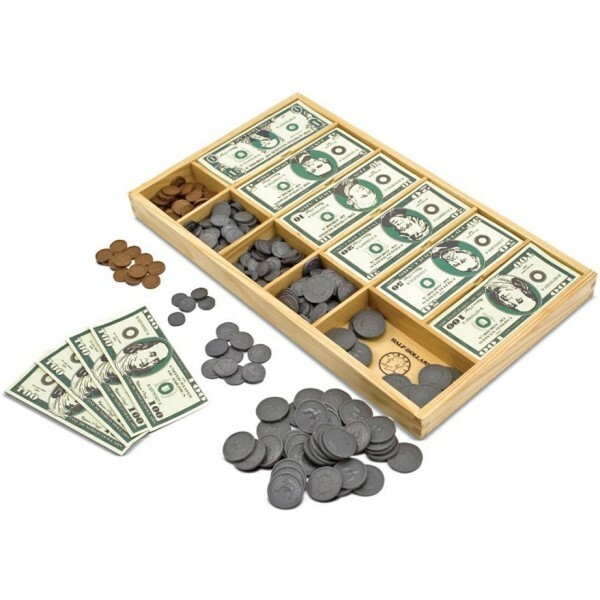 This play money set from Melissa and Doug has 50 of each denomination of pretend bills from $1 to $100, as well as play coins in pennies to half dollars. Kids can learn to count money, play banker or cashier. 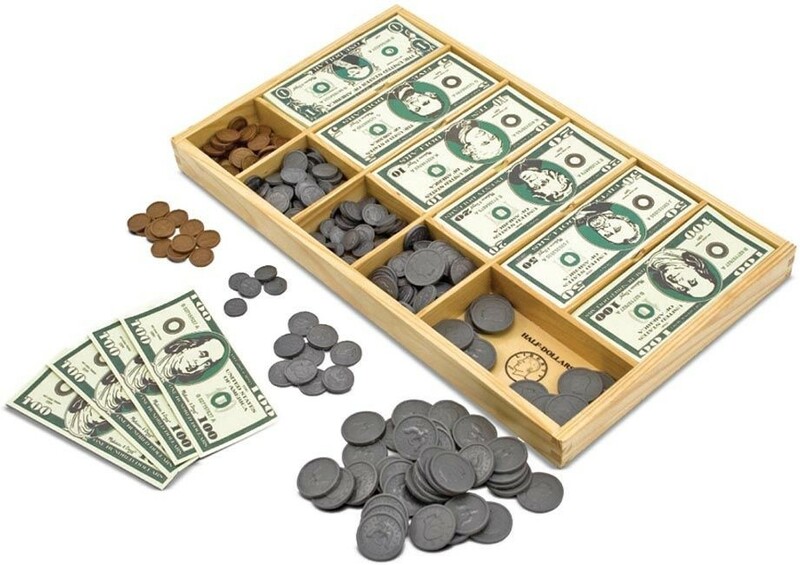 The money comes in an easy to store wooden cash drawer.